Flaming June should bring us a hot sunshine filled month with the risk of frost passed and those in more northerly parts should be able to catch up with those in the south. We’re also moving towards the longest day, June 21st being the summer solstice so there is plenty of daylight to let you get on with things. There is a lot to do in June but the rewards for our efforts are coming in the harvest. In dry weather draw your drill and water it well prior to sowing and then just water with a fine rose after to settle the seeds in. 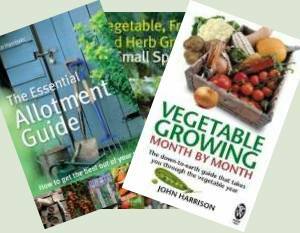 Successional sowing each fortnight of beetroot, French beans, early carrots, kohlrabi, early peas, lettuce, rocket, turnips, endive, radish, spring onions will give you a constant supply of salads and vegetables at their peak for your plate. If you follow my method of starting brassicas in pots, especially if you have clubroot, then it’s time to plant out. Pot grown runner and dwarf beans should be safe to plant out now as the danger of frost should be past. Outdoor tomatoes can also go into their final position. Don’t just move them straight from the greenhouse or they’ll be checked. Use a cold frame to condition them or move them back into the house at night for a few days before they go into the big wide world. Your leeks may well be ready now, about pencil thickness. 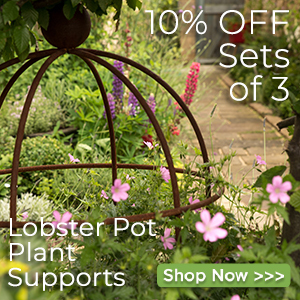 I like to plant mine as a follow on to the early potatoes which will be up by the end of the month. When transplanting leeks don’t follow the old advice of chopping the top foliage and roots back, it doesn’t do any good. 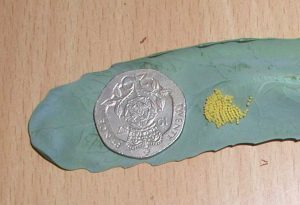 Clusters of small (approximately 2mm) yellow or white spheres. You need to check regularly for them and crush them or wipe them off with your finger when found. Most likely (hopefully!!) you’ll need to water if the weather is dry and bright. Don’t just lightly sprinkle each day, it helps pests like slugs and encourages shallow rooting. Water when the soil is dry a few inches below the surface (stick your finger in to see) thoroughly – about 10 litres per square metre. This should last at least a week of hot, dry weather. The butterflies are about now as well. 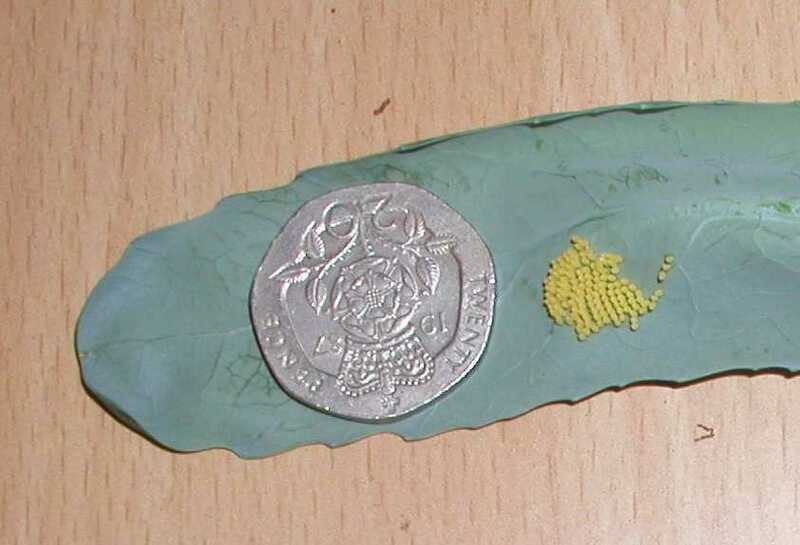 Beautiful as they are, check the undersides of your brassica leaves for the yellow or white eggs that will hatch into caterpillars and devastate the plant. You can squash them, wipe or wash them off easily at this stage. If we do get a prolonged dry spell, don’t forget that that fruit bushes and trees need watering. Swelling apples and currants need water as much as leafy vegetables. 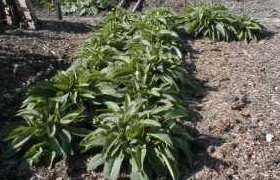 Once again, give a good soaking rather than little spinkles that encourage surface rooting. In June apples have the “June Drop” where the tree drops excess fruit. After this it is worth thinning out if the branches are still overcrowded. 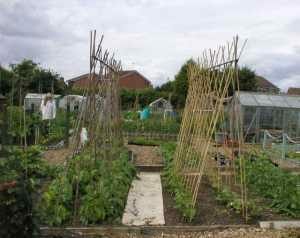 Tie in blackberry canes as they grow and check netting, fruit cages etc have no access for the birds. When you’ve had the last rhubarb, give them a good feed by mulching with well-rotted manure mixed with compost or an artificial like growmore to enable them to build strength for next year.